CUPtopia’s success is based upon doing one thing over & over, but never quite in the same way each time. Lesson / Koan : Practice repetition. We have gathered all the best deals on the market for high quality medicines. Buy your Rumalaya liniment at our store now only for 46 USD! This is a perfect opportunity for you to save on your Speman buy, because we offer it only for 47.62 USD! All is legal and real! Mies in the Shadows : Crown Hall - Illinois Institute of Technology, Chicago, Illinois. Lesson / Koan : Do not look back. In case you missed it…there is another chance later today. Lesson / Koan : Etching is making a comeback. 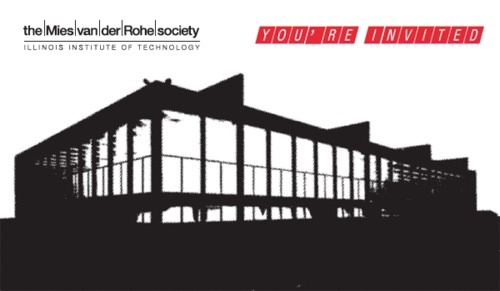 On Monday (March 28), The Mies van der Rohe Society celebrates the 125th anniversary of the Mies’s birth with a bash at his Crown Hall, 3360 S. State Street, Chicago, Illinois. Mies’s birthday is March 27, 1886. This is a one-time offer, and if you don’t want to miss it, act now! Buy Roxithromycin for 1.08 USD and not a single penny more! You can buy your Menosan for only 56.8 USD, so don’t waste another minute searching and take advantage of our premium offer! 10. Drinks by Lulu B. and ice wine cocktails by Equifera Icewine of Canada. 9. Pre-party! Our members-only reception starts at 5:15pm and features judging of our annual Mess With Mies sculpture competition. 8. The chance to purchase unique items like these gorgeous coasters and Mies van der Roast coffee. 7. Free parking! Also, easy access to CTA Green and Red Lines. 6. Awesome people-watching. Rub shoulders with Chicago’s architecture cognescenti, design illuminati, and future starchitects. 5. Custom-designed birthday cake from Tipsycake. 4. Insights from Wright auction’s Michael Jefferson. You’ll know how to score the good stuff and how to spy the fakes. 3. The chance to roam Crown Hall. When was the last time you hung out in one of the masterpieces of modern architecture? 2. Tickets are only 50 bucks. Or spring for our special-offer $125 ticket, and you’ll enjoy a one-year membership to the Mies Society at the Concrete level. 1. Every ticket purchased supports the exquisite restoration of Mies’ masterpieces on the IIT campus, including Carr Memorial Chapel. Here is one more idea for a gift to give a friend for Mies’s 125th birthday. Utopian Skateboard Decks by Chris Adamick & Piotr Woronkowicz. 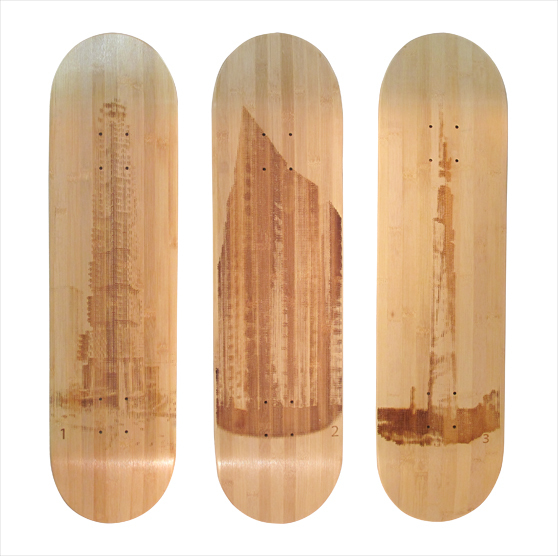 Chris Adamick & Piotr Woronkowicz have produced Skateboard decks with architectural forms etched into them. Series of three skateboard decks. The design was achieved by scripting digits to create a halftone effect of famous images of utopian skyscrapers designed in the beginning of the century. The boards are made of 100% Bamboo. 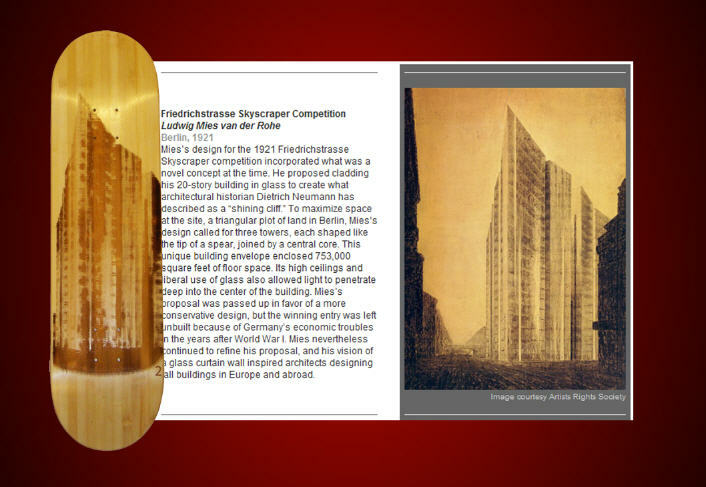 The skateboard decks in the series are utopian Sky Scrapers that were never built by (1) Ralph Rudolph, (2) Mies Van der Roche, (3) Frank Lloyd Wright. Mies would have been a skateboarder in his youth, right? Although it was never built, Mies’ design for the Friedrichstrasse Office Building remains one of the most important buildings in 20th century architecture. This design was Mies’ submission to the Friedrichstrasse architecture competition. Besides breaking several rules dictated in the guidelines, Mies presented a radical, unimaginable concept to the committee: a skyscraper made entirely of glass and steel. The design didn’t win, much less receive an official mention. Pia Rönicke is concerned with urban realities and fantasies. She continuously investigates how we as ‘users’ can influence (and are influenced by) what urban planners, architects and designers do. She has studied 20th century utopianism, how it looks ‘on paper’ and ‘in reality’. Searching for a cost effective solution to buy your Ayurslim? You can get it for as much as 54.7 right now! collage for Outside the Living Room by Pia Rønicke. Lesson / Koan : Attempt to Achieve. drawing for Outside the Living Room by Pia Rönicke. Pia Rönicke’s videos are collages of heterogeneous sounds and images offering a commentary on urban structure and the modernist conception of the city and the environment. 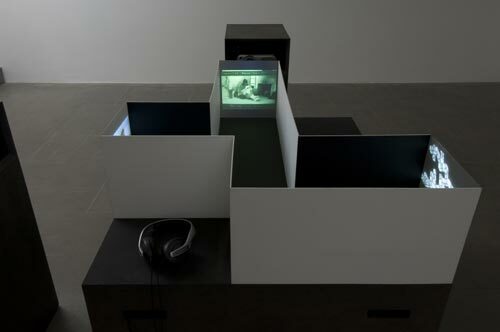 video still from Outside the Living Room by Pia Rönicke. Like samplings, Pia Rönicke’s videos designate and underscore the points betraying the montage and manipulation of such varied materials as film music, photos, comics, images from magazines and her own drawings of cityscapes and gardens. Her film work should be read as a permanently evolving composition in which each part is at once autonomous and constitutes a global narrative on the space of living, on the relation between nature and culture, and on architecture as camouflage. While re-visiting the experiments of the 1920s and the critical montage tradition of the 1960s and 1970s, Rönicke’s work is at the same time articulated around highly contemporary questions. 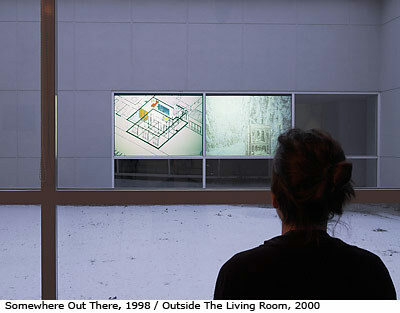 Pia Rönicke’s animated film Outside the Living Room (2000) looked more focused and almost didactic in comparison, yet she didn’t trade in the advantages of pop-cultural impurity for the deceptive reassurance of neo-Conceptual rigour. A bit like applying the imaginative flow of Rem Koolhaas’ book Delirious New York (1994) to both Copenhagen and Los Angeles, she pictured parks as jungles, skyscrapers rising out of them with rice fields on top, and demanded public spaces to be returned back by the private companies. The film is an investigation of the garden, an attempt to reconcile nature with urbanism Don’t waste your time searching for cheap Protonix! You can buy it for $0.51 right now! . 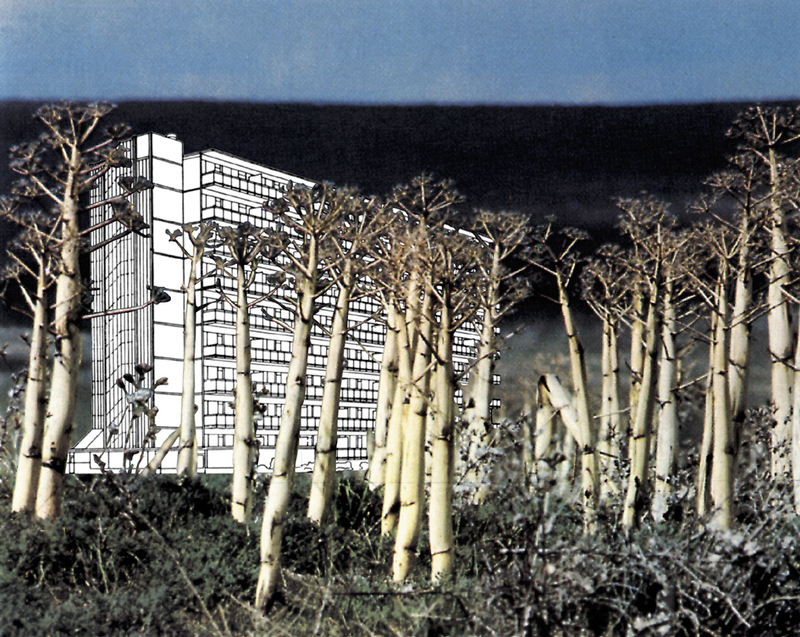 Rönicke’s strange visions include Manhattan skyscrapers, surrounded by dense forest, and rice fields on top of Mies van der Rohe’s Lake Shore Drive Apartments. 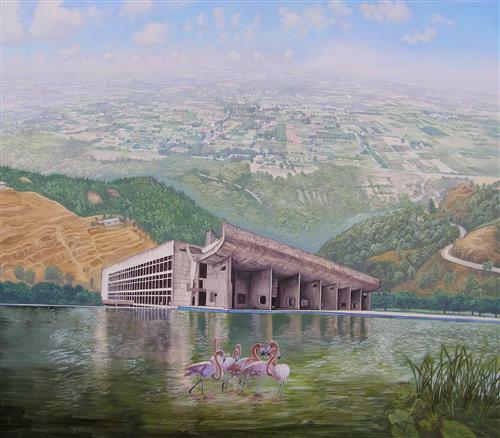 The visions are as utopians of a restored balance between urbanism and nature. 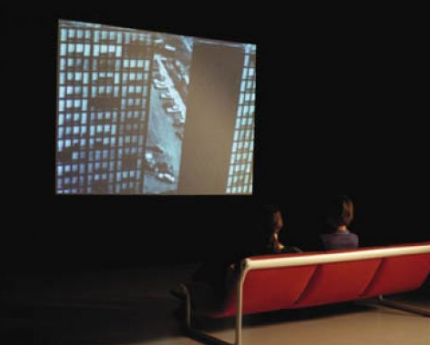 In the film, collage is used as a medium with images from popular culture. Rönicke also criticises modernism’s way of presupposing one particular way of living. 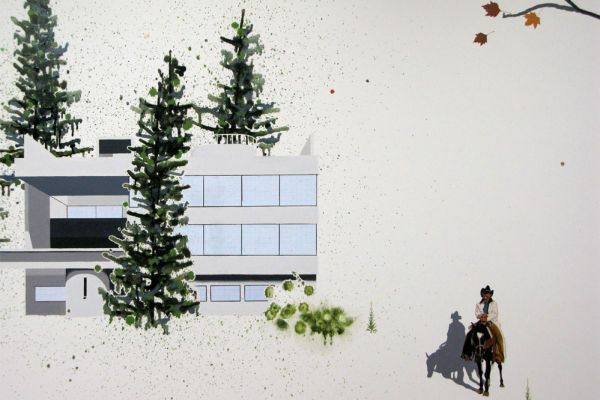 In her pieces, Rönicke takes on the role of a kind of a poetic urban planner. By presenting her subjective utopias, she is on one hand revealing a possible future, and on the other, reﬂecting on their utopian character. Pia Rønicke (* Born 1974, lives in Copenhagen) built a miniature cinema in the lobby of the Hotel Hilton Cologne, where she shows three of her films that reflect upon the utopian potential of modern architecture. How do social visions change during the process of realization? How are utopian designs made to fit social realities? Conversations with architects about a zone that was planned for industry but has been transformed into a residential area and urban space as a “multi-compatible system in constant change” (“Zones,” 2005) are shown next to a story edited together out of documentary photographs about the Schindler House in Los Angeles, a home famous in the 1920s and ’30s as an example of alternative, utopian residential architecture (“The Life of Schindler House,” 2002), and an animated film about a modular residential complex originating in the spirit of self-regulated systems (“Cell City – A System of Errors,” 2003). 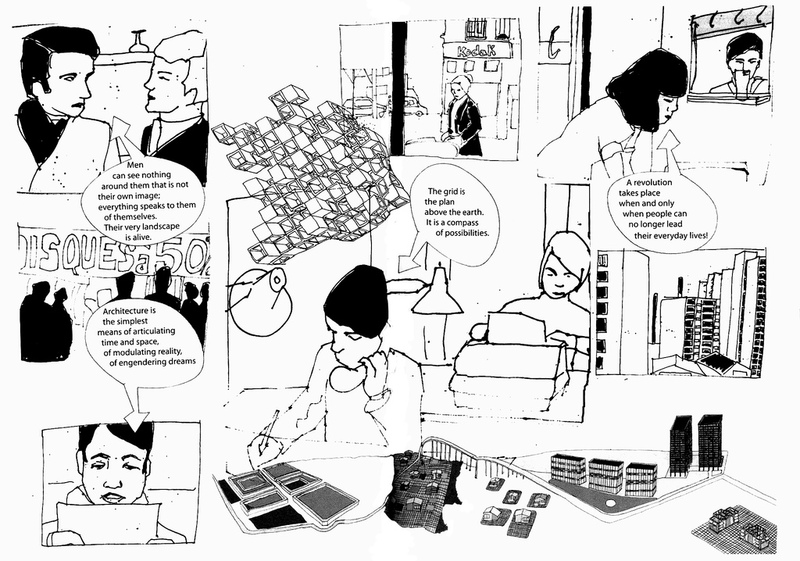 storyboard by by Pia Rönicke. Tags: Blaise Drummond, Craig Elwood, déjà-vu, decalcomania, Gilbert and Sullivan, Koan ( 292 ), Le Corbusier ( 11 ), Mies Van der Rohe, The Flowers of Progress, utopia ( 229 ), Utopia Ltd.
By rescuing, reclaiming and re-picturing, Utopia Ltd. suggests that utopian ideas persist in contemporary art, making a provocative demand on the viewer’s capacity to produce utopian dreams of their own. Hilversum 2009, 127 x 167 cm, oil and collage on canvas. Lesson / Koan : Limited, but with limits. New Painting Of Common Object, 2008. The works in Utopia Ltd. represent modernist architecture and design in its various mutations within a spectacularised, commodified 20th century consumer society. In these works, the utopian dream seems to burst through again and again, despite rather than because of the permutations of commodity culture. You can get your Lasix at the most affordable price here! Buy it only for 0.35 USD with us now! 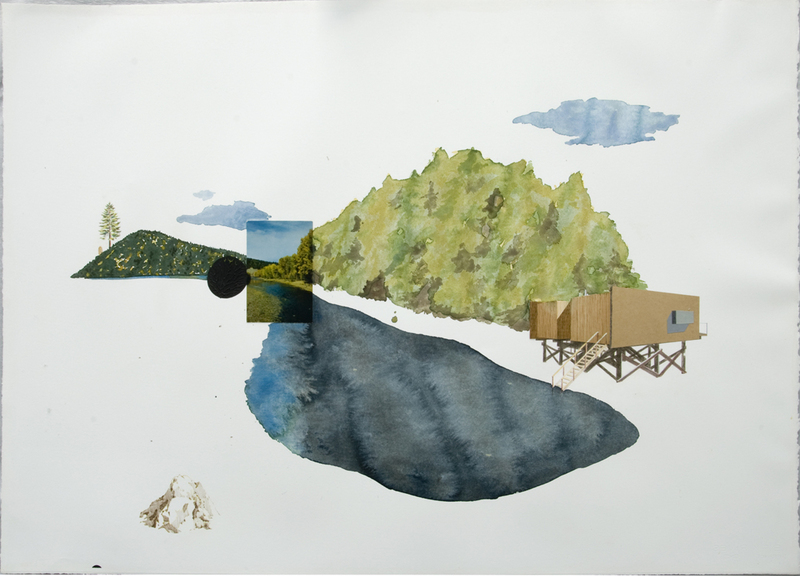 West Until We Settle, 2010, 80 x 120 cm, collage and watercolour on paper. By picturing the past, present and possible future, the works of Blaise Drummond destabilize fixed linear time. La Façade Libre (Live Forever in Perfect Health and Happiness), oil, acrylic and collage on canvas, 2011. The works of Blaise Drummond ( featured in Utopia Ltd. ) are experimental set-ups in the field of fine arts. Over the immaculate white of the canvas, his repertoire of set pieces are (re)distributed to create constantly changing arrangements. These are fragments of the utopias of the 19th and 20th century, of Romantic yearnings for nature and enlightened Modernity; these polarities confront each other and thus create new connections. His works always oscillate between the failure of this Romantic idea and the discovery of a new beginning. Influenced by Post-Minimalist concepts, Drummond cites the reduced, abstract language of the 1960s and 1970s and transforms this into a semantic system that now belongs to our general culture. 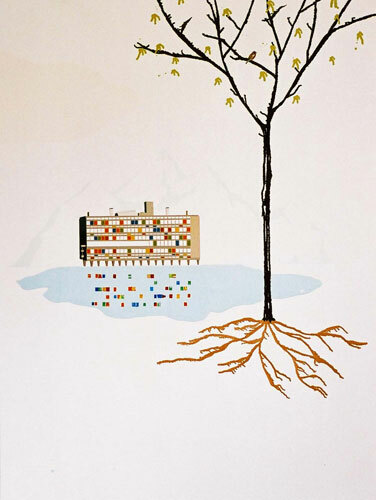 Drummond refers to these roots using architecture by Le Corbusier and Mies van der Rohe, for example, seeing them as locations of idealised human existence, which he longingly evokes in his pictures and simultaneously presents as an artificial construct. In his pictures, the architectural icons of Modernity come together with drippings of decalcomania in plant form, profane objects or fragments of nature. Every element appears to float in an unsteady balance on the white of the canvas Are you in need of cheap Forzest, but unable to find it? Buy in for just 6.89 right here! as if it had found its ideal location, if only for a moment. Then the artist permits the viewer to expose this completely staged harmony as a illusionary world. The bright hours, 2007, oil, acrylic and collage on canvas 162 x 213.5. Drummond’s examination of the past does not produce any nostalgic déjà-vu; instead, it directs our gaze towards the present through the mirror of our history. The exhibition’s title Utopia Ltd. is a satirical echo of an operetta by Gilbert and Sullivan, Utopia (Limited) or, The Flowers of Progress (1893), in which a utopian colony is turned into a joint stock company. decalcomania |dēˌkalkəˈmānēə|noun : the process of transferring designs from prepared paper on to glass or porcelain.• a technique used by some surrealist artists that involves pressing paint between sheets of paper. 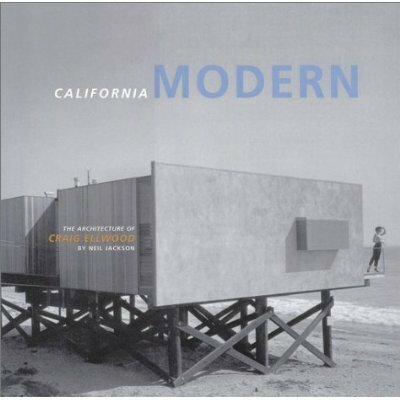 The architecture of Craig Elwood. Does anyone recognize the house from West Until We Settle? Correct! Yes, that’s where I nicked the image from, but the drawing is actually titled ‘The Bridge’ not ‘West Until We Settle’ which is a different drawing but also based on an Ellwood building. The dream of a better or perfect world, Utopia, seems to be inescapable for humans. Humans have the cognitive capacity to imagine any conceivable future. With this notion in mind, humans seek ways of improving the inner world and the external world. The woman described below bring both the internal & external worlds together in her act of painting. What she has in her mind & in her paintings are the same notions humans express daily. At 25, Natasha Kissell took the art world by storm when the famed Saatchi Gallery purchased her entire Royal College of Art graduation show. Since then, the 31-year-old landscape painter has made the shortlist for the Jerwood Painting Prize, Beck’s Futures and the Celeste Art Prize. 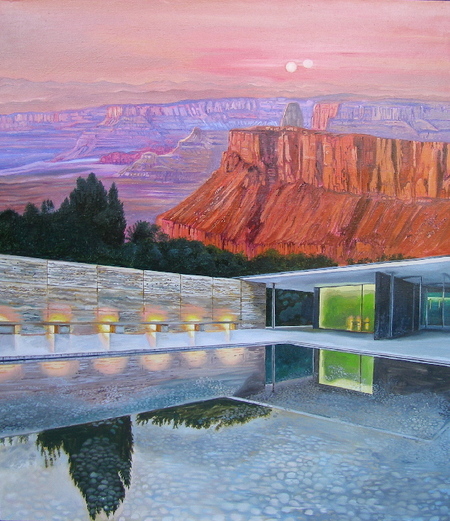 Her trademark is featuring modernist architecture in her traditional landscapes. 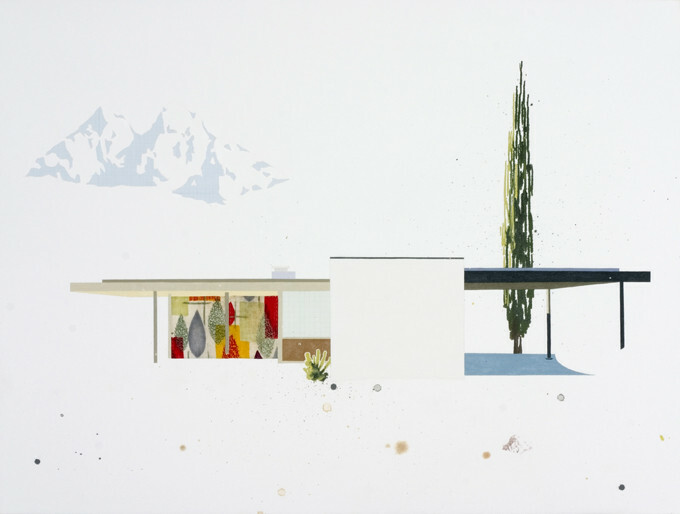 ‘It’s an amalgamation of different parts of the world on canvas; in modern life we’re always in different places at the same time.’ Ms. Kissell’s paintings are hyper realistic – you see the intimate details of a butterfly wing, individual tree branches, steel planks – but the juxtaposition of the objects are not – a modern house similar to her childhood home often sits in bucolic environs, or perched comfortably on the side of a snowy hill. Lesson / Koan : The nature of notions is known by all. PINK CANYONS transports Mies Van Der Rohe’s Barcelona Pavilion to an Arizona canyon. 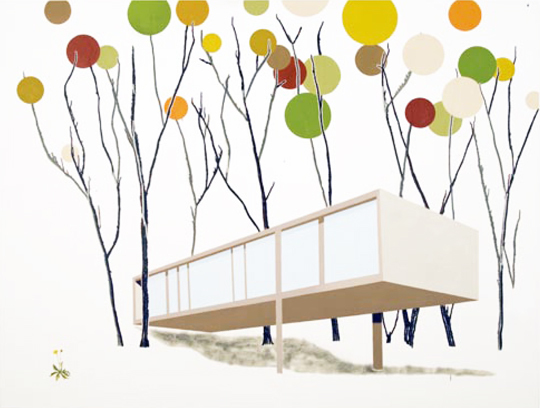 In the recent Aldrich Museum of Contemporary Art show ‘Painting The Glass House’, Ms. Kissell’s work perhaps suggest that mother nature is the only true companion and owner of modern architecture. Ms. Kissell’s psycho-geography comes in the form of the landscapes that the buildings exist in creating a double utopia This is a perfect opportunity for you to save on your Viramune buy, because we offer it only for 2.76 USD! All is legal and real! , the two in conversation with each other. The usual crowds of tourists that would swarm around Van Der Rohe’s Barcelona Pavilion are emptied out, in a desire to allow the building to exist in tranquility matched only by the sun gently going down in the Arizona outback. This also creates a surreal juxtaposition, two far away places united in one canvas. Ms. Kissell is influenced by the Siennese painters of the 14th and 15th centuries. This is why she combines many perspectives in one picture. The neatness comes I guess because it is more the idea of place, the concept of holding an ideal, a utopia in mind than the loved experience. Ms. Kissell uses not just one utopia but two – that of the beauty of nature, and also that of the beauty and perfection of design, hence the modernist architecture, not the modernism of 60’s high rises but the modernism of exquisite design where architects compete with the natural world to create something spectacular. 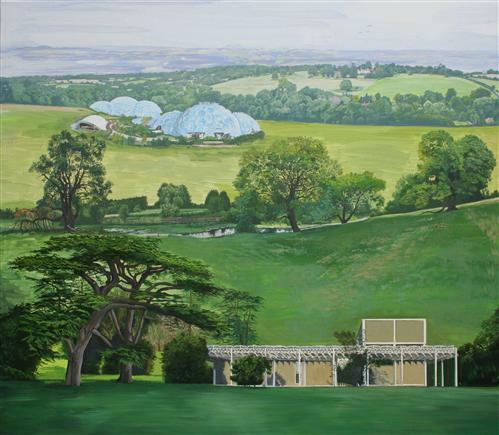 The artists featured in ‘Painting The Glass House’ exhibition are interested not only in the potential of utopian ideas, but also the sense of a passing idealism that modern architecture now embodies. The artists are less interested in the built structures themselves and what it might feel like to be inside one, and more interested in the philosophy and idealism they represent. The way in which the buildings Can’t find an affordable solution for the purchase of your Zyrtec? You’ve found it now! Buy it for $1.42 only! signal a possibility of utopia is essential—a future that could have been. Yesterday’s post was a piece from the 12th Venice Architecture Biennale. SANAA invited the film director Wim Wenders to do a short video. As a follow up, and continuation, the installation “Architecture as Air” by Junya Ishigami is a manifesto to inhabit. Junya Ishigami worked for SANAA from 2000-2004. The project received the Golden Lion award for best project at the Biennale. The “essence of Architecture” is a Pedagogical approach in Japan. This approach is embodied by vision & emotion. The “Architecture as Air” is a re-interpretation of the 1912 Kroller-Muller house by Mies Van der Rohe…without the canvas. Both projects, nearly a century apart, have the same lasting power. BUT, imagine what would the “Architecture as Air” be, without the existing building as its’ canvas? 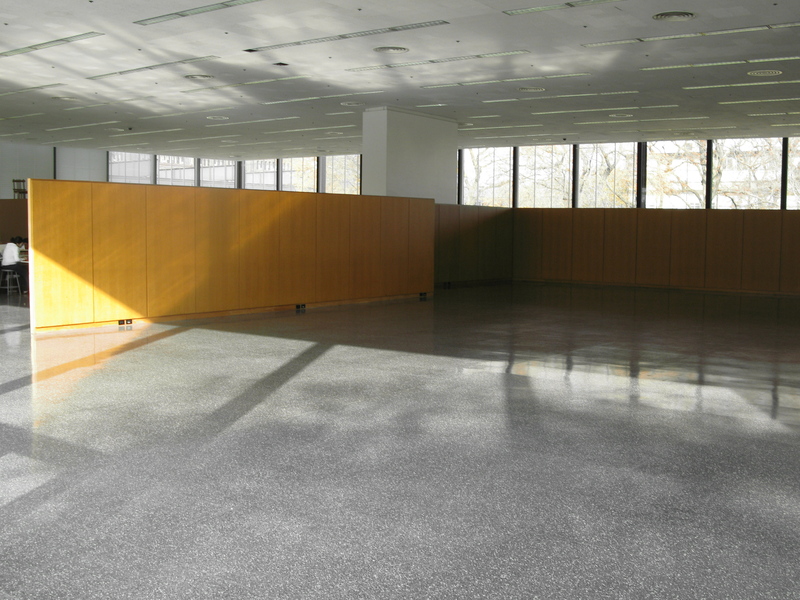 Also, the “Architecture as Air” learned one of Mies’s best lesson…in a project, always look for what can be taken out. 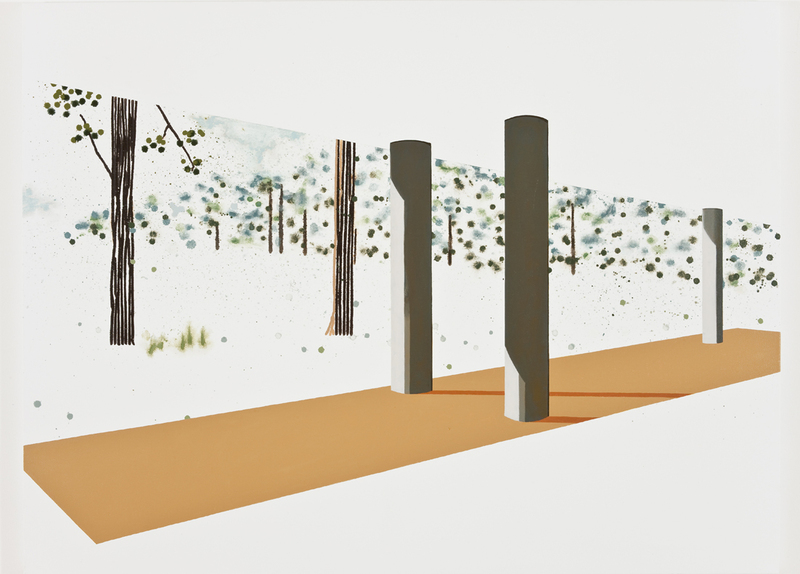 Junya Ishigami’s subtraction is potentially his biggest design move. The “essence of Architecture” is invisible for a reason…it has history. Please read the text below the image for a historical connection. below is Jonathan Glancey’s text drawing a wonderful connection between the “Architecture as Air” project and Calvino’s Invisible Cities. Inside the massive Corderie, the old ropeworks buildings of the Arsenale – where one half of the sprawling biennial exhibition is on show – a team of Japanese architects was busy building a house that was barely there. They were, they said, “thinking of architecture in the air”, whereby “even the structures that give a building its very shape may no longer be clear but, rather, voidlike”. As the house Searching for a cost effective solution to buy your Cardura? You can get it for as much as 0.42 right now! Junya Ishigami and his colleagues were building is made of what appears to be the finest steel threads. Design drawings of the house on the walls of the ropeworks were so fine as to be all but impossible to interpret. It was as if these diligent architects were building one of We offer the best Aygestin solutions you can find on the market today! Buy your Aygestin only for 1.15 USD now! Italo Calvino’s invisible cities, shaping a structure that might or might not be real. another parallel could be drawn between this project and fred sandback’s studies with acrylic yarn. the void creates the spatial arrangement?